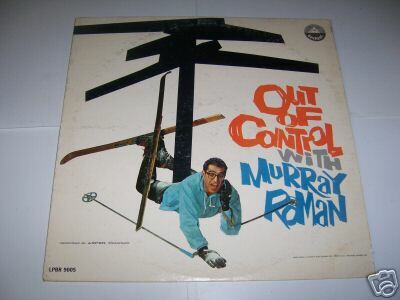 Murray Roman was a counterculture comedian and writer who had his greatest success in the late nineteen sixties, opening for rock groups and writing for The Smothers Brothers Comedy Hour. His unique comedy LPs are fascinating time capsules. Today we continue exploring his life and career by speaking with another person who worked with him, but first I encourage you to go read the article, The Forgotten Murray Roman. 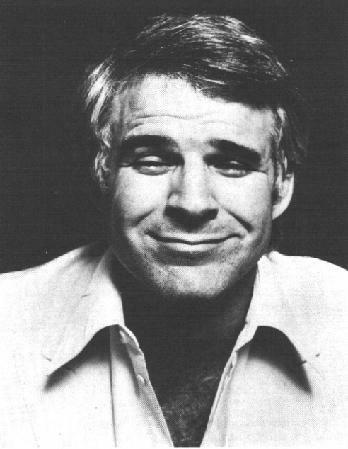 Here is the transcript of a recent discussion with Steve Martin. KN: Well, one of his most famous is called You Can't Beat People Up and Have Them Say I Love You. KN: Yeah. So, we're basically trying to find out information about Murray Roman and give the story of his life and talk to people who worked with him. SM: Right. Are you in contact with his ex-wife... I don't know if she was with him when he died or not... but his wife from the sixties? KN: No. I don't even really know who she is. SM: I don't remember her name. Tommy might remember. She was unbelievably beautiful. And it seemed like a mismatch, but evidently they were very happy. KN: When did you first encounter him? Did you know him from stand-up circles before you guys were writing together? SM: No. He came on, I think sort of in the middle of [The Smothers Brothers Comedy Hour], when I was there... it'd be sixty-eight. He was a very sweet guy. He wasn't really a writer. There's a Jewish expression called "tummler." And he just sort of stood up in the room and sort of spoke. He didn't really write anything down. His ideas came from just being spontaneous in the room. And, uh, which kind of irritated us writers, y'know (laughs). Cause we had to go off and write. But he was also a good cheerleader. He was always cheering for the right side and to go against the establishment. He was a sweet guy at heart. SM: No, he really didn't do that. No. I can't remember if he was on The Smothers Brothers Comedy Hour or the Glen Campbell [The Summer Brothers Show]... I think he was on The Smothers Brothers. SM: Right, definitely he was because he appeared... there was one of The Smothers Brothers shows, that you could probably dig up, called The Writers' Show and all the writers appeared... Mason Williams and me and Murray Roman. SM: Oh, right. Yes, yes. KN: I'm not sure if that's from the same episode or not. SM: Yeah, and Tommy kind of berated him in a friendly way saying, "You're the one who is always saying we should go out there [and push the envelope] and you did like the safest routine possible!" (laughs). KN: But then I found out that he did come out with a record far earlier, before he became that. Before the drug culture kinda took off. KN: And the album was called Out of Control and there's another version called Ski Humor and it's all jokes about skiing. KN: So apparently that routine was like a throw back to what he had done before. SM: Right, yeah, I think I recall that, that was one of his old routines, yeah. KN: Did you ever see him do stand-up? SM: I never did. I think he kind of... he didn't really do stand-up anymore... or even do shows. I think at his heart he was a little insecure. We all were. KN: Did you find him funny? SM: Yeah. Yeah, I did. Yeah, I liked him. I remember we went to a party at his house. But I really can't tell you much about it. It was up in Laurel Canyon. KN: Was there any kind of conflict in the dynamic in the writers room on The Smothers Brothers Comedy Hour between the new, young guys that Tommy brought in like yourself and Bob Einstein, people who hadn't had writing jobs, and some of the guys that were a few years older that had more experience? I know that Pat Paulsen had a group of writers that worked for him and some of them were older guys like Hal Goldman and Al Gordon - they had worked for Jack Benny and stuff like that. SM: Yeah, and Cecil Tuck too. Um, there weren't harsh words or anything. I think it was just a natural... in fact I have a book coming out on November 20th which is a memoir of my stand-up years, and I do discuss Hal Goldman and Al Gordon in a little anecdote. They were very nice. There was no real conflict. It was just kind of undercurrent. SM: No. Not at all. Not that I'm aware of. KN: Can you pinpoint any specific contributions of Murray's that would have made their way onto the show? SM: I really can't. I know that, we really liked Murray but we used to always just leave the writer's room, just a little upset. [He would] do a big show-off session in the room of talking and standing up and cheerleading and everything... and then we'd have to go, okay, now what are going to really use. But don't get me wrong, we really liked him and he was a sweet guy. I just can't remember what he contributed, I honestly can't. KN: He's just a very elusive figure in comedy history. It's very, very difficult to find out information about him. It just might be because of that small window of a few years that he was there. SM: Did you talk to Tommy? SM: Because he would know more than I would because they must have dug him up from somewhere. KN: (laughs) Well, actually he said that you would know more than he did. SM: Oh, really? You know who might know - is Bob Einstein. SM: Let me just look. It's been a while since I talked to him so...let me call Bob and I'll have him call you if he can. SM: Okay. I'm just saying he might know a little more than I do, he has a better memory than I do. I wish I could help you more. [Roman] dressed sort of like a hippie. I think he wore a scarf around his neck. SM: Yeah. No, not an ascot. Like a tied scarf. Like a bandana, cause it was kind of cool looking, y'know. KN: Keith Moon was a huge fan of his and used to bring him around to open for a lot of concerts and stuff and I think he played the comedian at a lot of these rock shows. SM: It's hard. That's the hardest thing in the world. KN: Yeah, absolutely. But I guess he had sort of a similar perspective with the sort of hippie kids that were part of that drug culture... so he sort of hit with that. I do know he was doing stand-up in that regard. 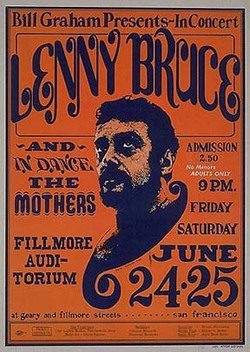 SM: He was very patterned after Lenny. KN: Except addressing Vietnam and LSD and things like this. KN: The record is very much a relic of its era. He'll hit a punchline and then there will be this psychedelic echo. Some music comes in. SM: Okay, I'd like that. 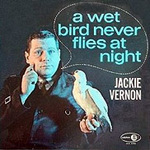 KN: Oh, I love Jackie Vernon. SM: Yeah. The material quoted on his Wikipedia entry is so funny. KN: And he had just such a great voice and pentameter, just such a great way of speaking. This low-energy apathy to his performance. I love Jackie Vernon. KN: His comedy record, unfortunately, is awful. Mostly because it was recorded in a studio and then they dubbed in a laugh track. KN: And he also sings a cover of Yesterday by The Beatles. KN: But it's done in that Jackie Vernon tone of voice, so it's actually pretty funny. SM: Yeah. There was... 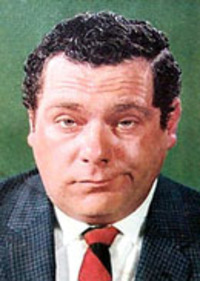 I think it was Jackie Gayle and he, I think, was married to Sally Marr. SM: Yeah, I think. I'm pretty sure that's who it was. She married Jackie Gayle and, y'know, she was Lenny Bruce's mother. KN: Yeah, I had no idea [Gayle and Marr] were connected. SM: I could be wrong. I used to see her backstage when I'd do The Steve Allen Show or something, he'd be appearing too. Or Merv Griffin - he was more like a Merv Griffin act. SM: Ah hah. Well, maybe it was Sally Marr appearing on these shows. I can't quite remember. KN: Well, I'll send you a link to this article when it's done and links to other [WFMU articles about comedians] when I'm done. SM: Sorry, I couldn't help you more, but it's just a vague memory. I'll give Bob Einstein a call. Hey Kliph! Great interview with Steve M! Your meticulous and always informative research continues to amaze me. Yer friend in New Brunswick. Great post. Makes me want to seek out some Murray Roman and it reminded me of how much I loved Jackie Vernon. Would love to read something about a comedian I used to see on TV who was famous for his nervousness and for always displaying lots of crazy gadgets and inventions. I believe his name was Stan Can? Hard to find anything about him.